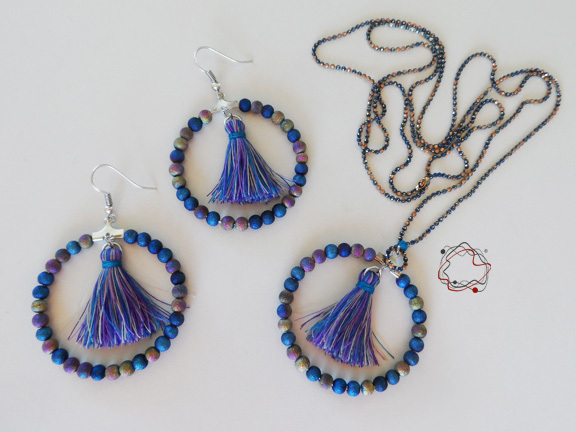 Hoop earrings & necklace set, with glass beads and handmade purple tassels. 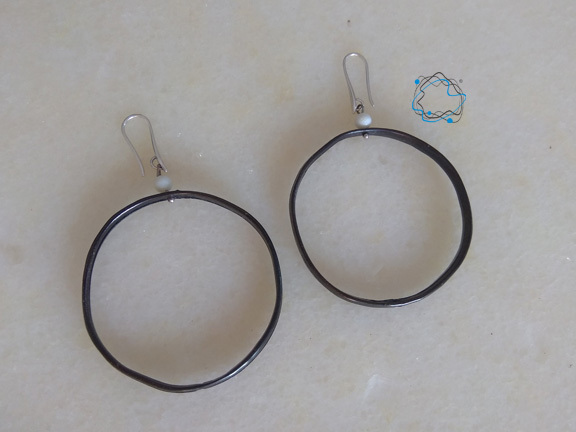 Hoop Earrings & Necklace Set with Red Handmade Beads. 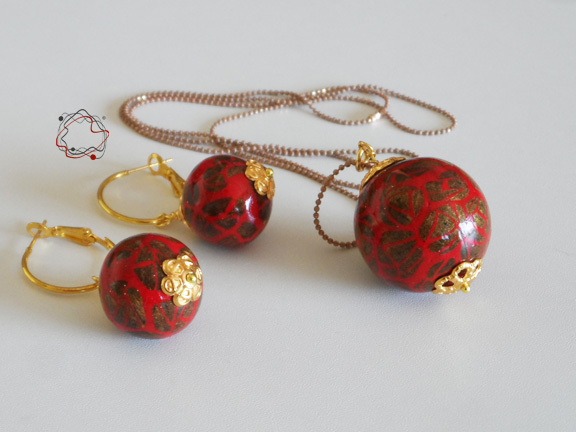 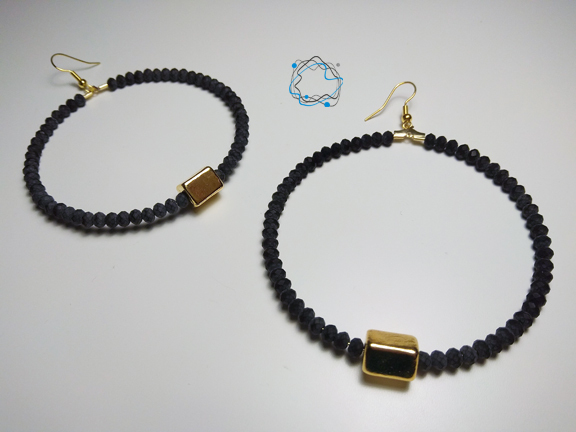 Hoop earrings and necklace set with steel gold chain, "3" red handmade beads.